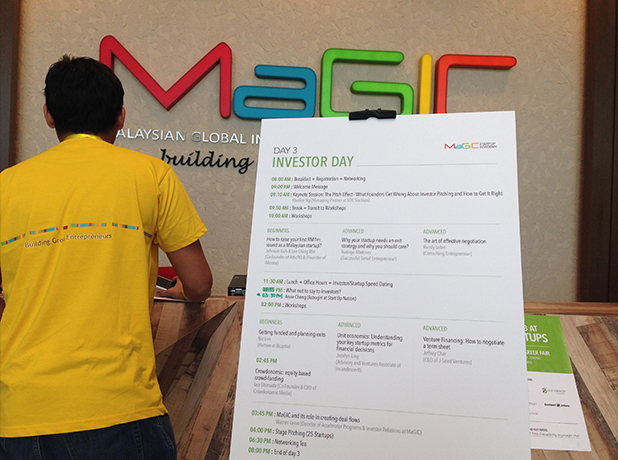 The Investor Day that was held on the 17th October at MaGIC in Cyberjaya has drawn in over 60 leading investors around the region. Cyberjaya: For many startup founders, daily burn-rate vs. revenue generation and injection of new round of funding are the determining factors for the survival or success of their companies. 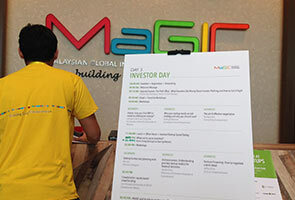 For those who seek viable solutions to address negative cash flow or injection of new investment to stimulate growth, the MaGIC Startup Academy Launch has dedicated a full day of talks and workshops on the art of fund-raising while providing opportunities for start-ups to connect with potential investors. The Investor Day held on October 17 at MaGIC in Cyberjaya has drawn in over 60 leading investors around the region including: Cradle Fund, Teak Capital, Monk’s Hill Ventures, Jungle Ventures, Fatfish Internet Group, Golden Gate Ventures, QuestMark Partners, Garena Ventures, TNF Ventures, Gree Ventures, CIMB, TM, Celcom Axiata, Maxis, DiGi Telenor, Astro and many more. What are investors really looking for in a prospective investment? Naturally, many if not most investors are more comfortable pursuing investment opportunities by seasoned entrepreneurs or individuals with relevant background and skill set required to succeed. Vinnie Lauria, Managing Partner of Golden Gate Ventures looks at how a founder manages cash flow while growing the company. “I am looking for start-ups that demonstrate growth while operating on a shoestring budget,” he said. Often times, startups that have demonstrated sizeable traction would catch investor's attention. Investors will want to see some initial traction already in place. What should a start-up founder keep in mind when it comes to gaining and measuring traction? 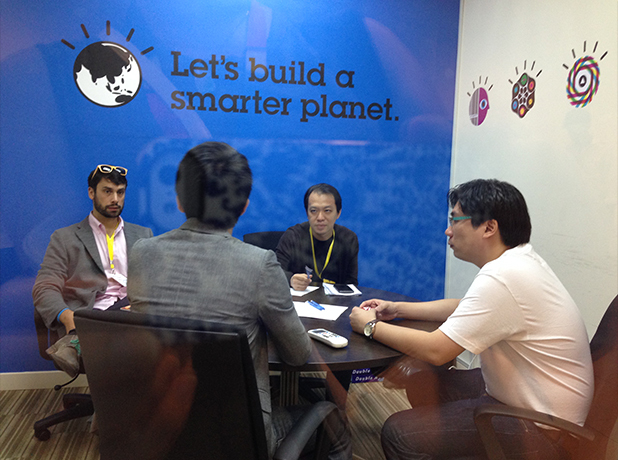 One of the Investor-Startup Speed Dating sessions at MaGIC Startup Academy Launch. Among the highlights of the Investor Day include Investor-Startup Speed Dating, followed by stage pitching by 23 enterprising startups. 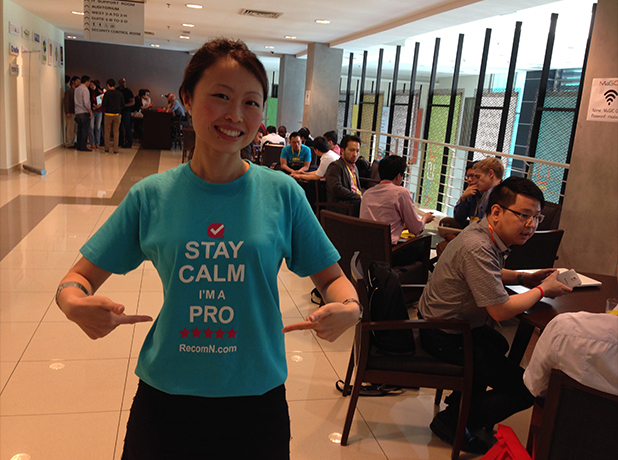 What runs through the mind of an investor at a Investor-Startup speed dating event? On top of that, a founder needs to have a clear sense of what his or her business is all about. “Can I do business with this guy? Does he or she understands the market and the customers? If they can’t succinctly tell me about their business, how can they get to their customers?” Alexander elaborated. Entrepreneurs pitching to leading investors from the region. Drawing from their own experience, Lee Ching Wei, CEO of iMoney Group and Johnson Goh, Co-founder of AtticTV both agreed that venture capitalists invest in people, not ideas. During one of the Beginners’ Track on Investor Day at MSA Launch, Ching Wei and Johnson came together on stage to share how they raised their first few rounds of funding from angel investors and venture capitalists. “Build relationships and trust, talk to a lot of people. It only takes one person believing in you to make it happen,” Johnson emphasised. During one of the Beginners’ Track on Investor Day at MSA Launch, Lee Ching Wei, CEO of iMoney Group and Johnson Goh, Co-founder of AtticTV came together on stage to share how they raised their first few rounds of funding from angel investors and venture capitalists. Another highlight of the Investor Day at MaGIC Startup Academy Launch is the Stage Pitching. Among the startups made it to the pitch include: Catch That Bus (Online travel agent specialises in bus travel), Saving Plus Group (Platform for banks and financial companies to acquire customers), Ad Tech (Performance and advertising monetization marketplace), Shoppr (Single platform, universal check-out mobile shopping platform --- Tinder for shopping), Tapway (Bringing online analytics to the offline world), MobileAds (HTML5 mobile ads, free mobile ad creator), InstaB (Social network for new parents), Social Walk (Business matching platform), Baucar (Location-based advertising using iBeacon technology), Spot News App (Content discovery platform), Cytron Technologies Sdn Bhd (Robot construction kit for children to learn about robotics), and more. 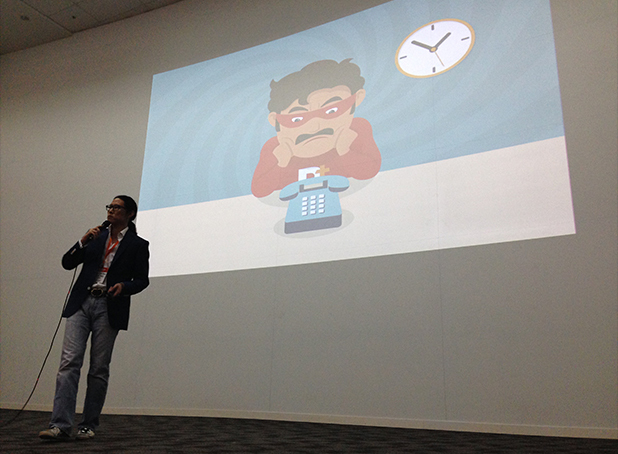 Siew Yuen Tuck, CEO of RinggitPlus on stage pitching to leading investors from the region. For regional investors, the pitching session offered them a better understanding of what Malaysian startups have to offer. “I have been to a lot of markets in the region, and I am pleasantly surprised to find a wide variety of startups pitched on stage today. And some of them are already profitable!” stated Kuan Hsu, Principal of GREE Ventures with great enthusiasm. 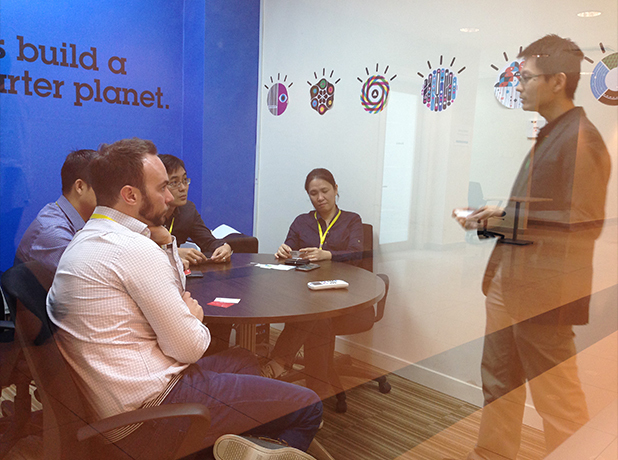 MaGIC Startup Academy Launch (MSA Launch) is a five-day workshop-intensive event held at MaGIC in Cyberjaya from 15-19 October 2014, as an introduction to the newly established MaGIC Startup Academy. MSA Launch encompasses workshops and talks about product development, fund-raising, marketing techniques, growth hacking, founder-investor matching, pitching, startup culture and more. The event will be concluded on the 19th October, Sunday with MSA Career Fair, where more than 70 local and regional startups looking to hire will be participating. Investor Day at MaGIC Startup Academy Launch provides an opportunity for startups to meet and network with leading investors from the region. 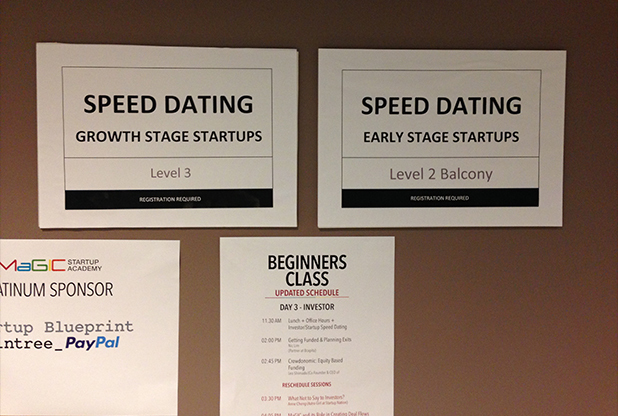 Investor-Startup Speed Dating were categorised as Early Stage Startups and Growth Stage Startups. Jes Min, one of the startup founders signed up for Investor-Startup Speed Dating to pitch about RecomN.com, a service that helps consumers find trusted service providers through friend's recommendation. 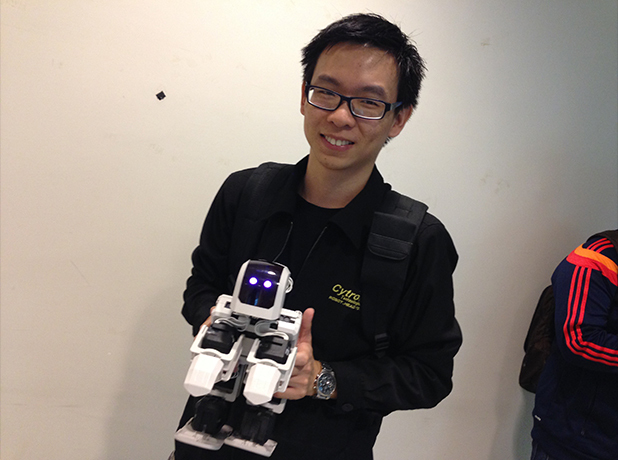 Chin Yee from Cytron Technologies Sdn Bhd ready to meet potential investors to pitch the company's latest product Rero -- a robot construction kit for children to learn about robotics.